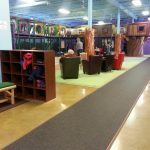 Review and pics of the new Rochester Play indoor play center and cafe on Second Street in Downtown Rochester MI. 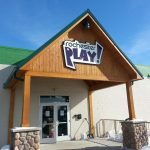 Rochester Play opened its new location in November, 2014. The old location was proving to be too small so the move was out of necessity for a larger space. The new location is happily using all the extra space! Rochester Play’s new location is more than twice the size of the old location. 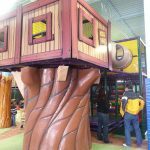 Rochester Play is now over 10,500 square feet of an indoor play center for families. 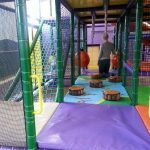 At their new location, you will find some of the same structure and play equipment, but all in a different layout and refreshed with new padding and newly added components. There are also some new features to the new Rochester Play location. There is an “active gaming center” for older kids. By “active” they mean that all the games require movement, e.g. kicking, jumping, etc. 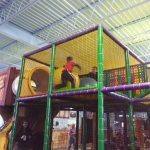 Rochester Play is big on keeping the kids moving. 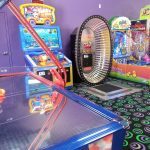 Soon, they also plan to have a redemption center for the kids to redeem prizes using the points earned by playing the arcade games. Rochester Play! also added a “Mission Impossible” style laser maze. 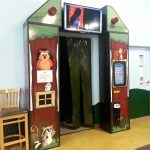 Both the laser maze and the arcade games are available for an extra fee. The new Rochester Play has loads of extra space. 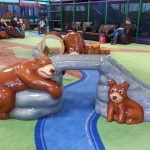 The center of the playscape area has a decorated foam floor for open running space, and indoor climbing units for the little ones. 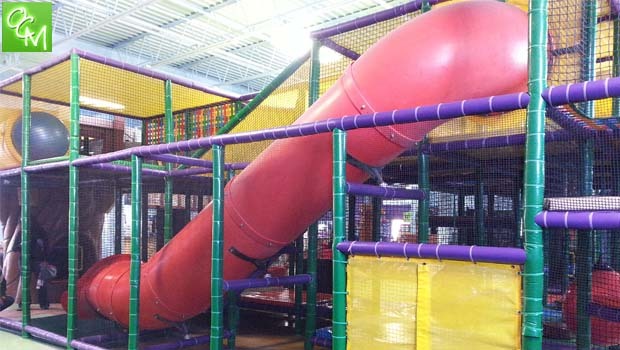 There is an indoor track that goes around the entire playscape perimeter for parents to get some exercise time while the kids play, or for the kids to run off some energy. 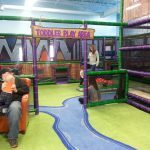 Rochester Play still has a separate toddler play area like they had in the old location. 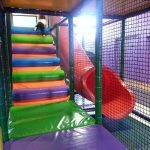 This area is best suited for kids under four and has mostly small climbing units. 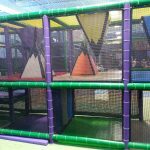 The remainder of the indoor playscape is geared more for four and up, and is probably most ideal for up to ten or eleven. 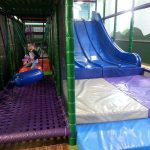 Kids can slide, climb, jump, swing, crawl and more. 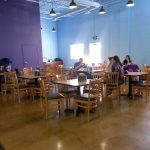 Rochester Play has a full cafe for food purchase. They even make their own pizza on site. 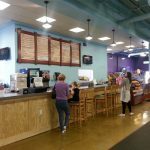 It’s a full menu with smoothies, salads, sandwiches, paninis, yogurt, Kids meals, Breakfast foods, coffee and more. There are two party rooms available. 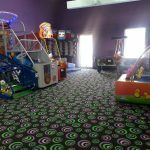 They use these rooms for birthday parties, camps, and also parents night out events where kids can enjoy a movie screening with pizza. There are some flat screen TV’s for parents that are never tuned into kids shows. Rochester Play doesn’t air any kids shows because they want the kids to play. When the weather is warm, guests can enjoy the outdoor patio and space outdoors for camps and play. Rochester Play offers free wifi. Rochester Play takes pride in keeping the place clean. 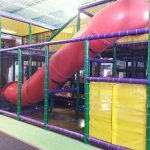 The indoor play center is disinfected and cleaned every day. There are discount price breaks available at Rochester Play. Guests can purchase a Membership and get unlimited play as well as discounts on events and food. Play group discounts are offered for groups of five or more (offer available Monday through Thursday) – just call ahead. Rochester Play also offers discounted package pricing. Is Asking A BFF to See Fifty Shades of Grey With You Awkward?